Student experiment set of the student experiment system Science Lab in the field of physics. Basic equipment for mechanics and energy experiments. Set-up material for one working group in pre-formed tray. The individual trays are stackable and can optionally be closed with a lid (647 003) . 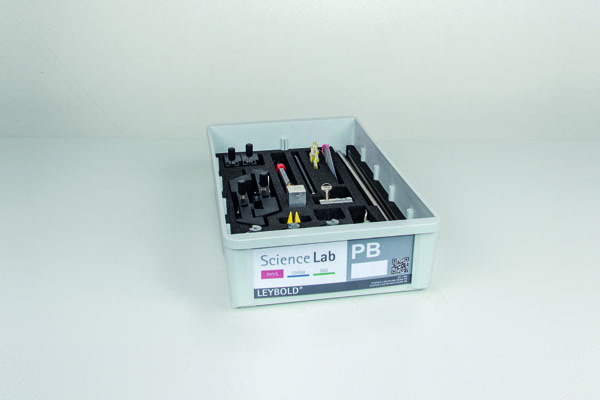 The equipment set Science Lab Physics Basic PB, in combination with the mechanics sets ME1 (207 111S) and ME2 (207 112S), enables the performance of experiments at high school, college and basic university level for worldwide curriculums. Articles marked with * are alternative.